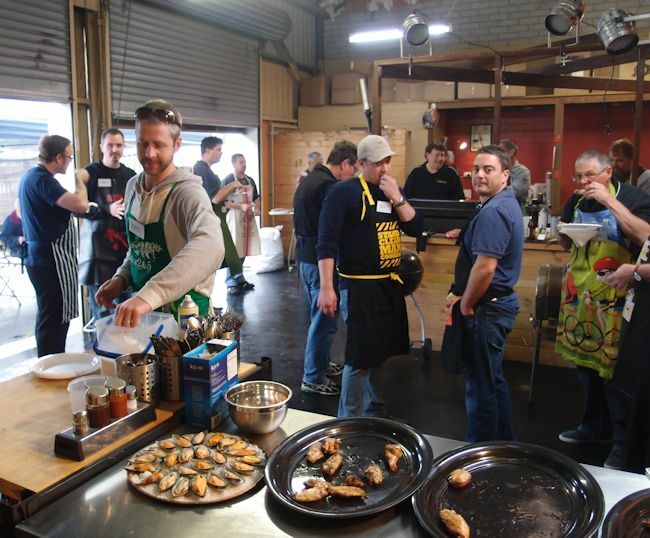 The full day BBQ School class is $350 per person. 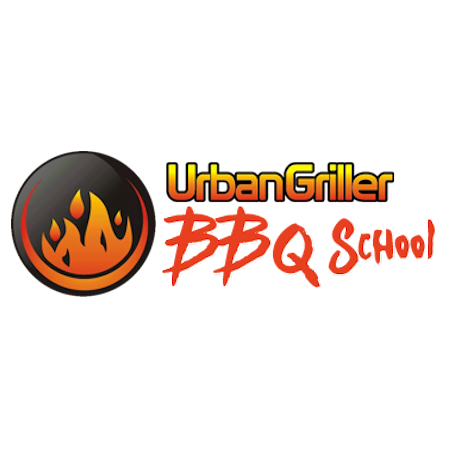 BBQ School vouchers are customised with the recipients name, they can use them at any class that suits them, we put them on the BBQ News mailing list and that gives them the schedule as it is developed as well as other BBQ and recipe information. We run BBQ School by a voucher system. We put you on the mailing list and the voucher recipient. Every month we send out BBQ News which has the next 6 weeks of dates. When they see a date that suits, they just email back and book in. Spring Summer and Autumn there are 3 classes a month till end of May, then one a month till August when it all starts again. 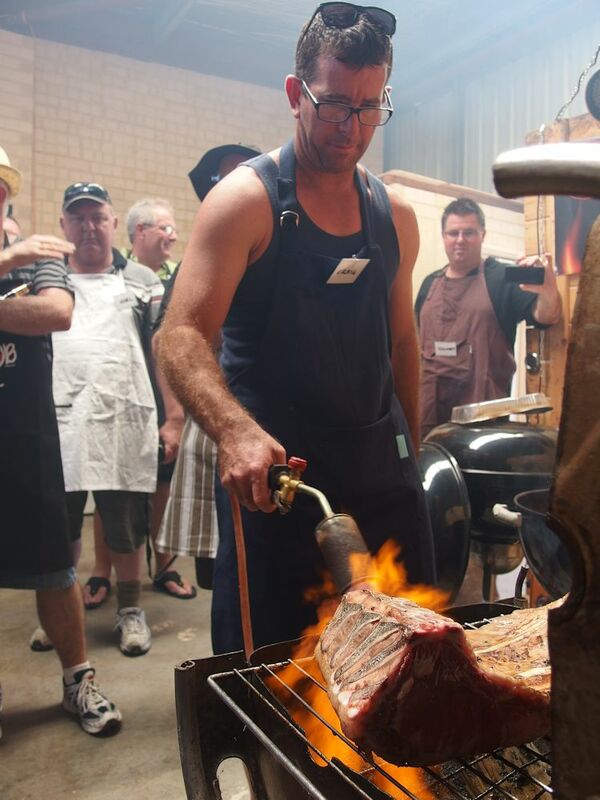 The full day BBQ School class is $350 per person. 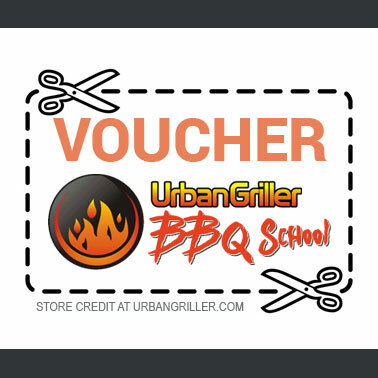 BBQ School vouchers are assigned a unique code which allows the holder to “purchase” a place in the BBQ School Date of their choice free of charge. Once they have their voucher they can give us their email address, we put them on the BBQ News mailing list and that gives them the schedule as it is developed, as well as other BBQ and recipe information. When they find a date that suits them, they place the class in their Shopping Cart and enter the voucher code in the box in the checkout and the cost of the class will be reduced to zero. BBQ School includes a “Showbag” that contains a fast read digital meat probe, mop, heat glove and other essential BBQ Gear. 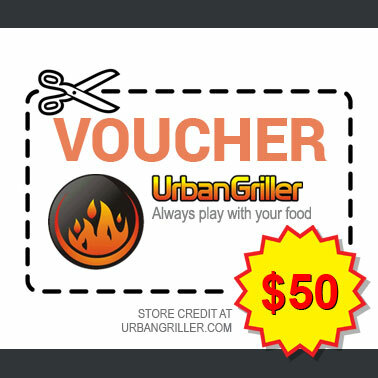 You can purchase a Voucher for Yourself or you can Purchase as a Gift for someone else. We reserve the right to cancel or reschedule classes for any reason. In the event a class is cancelled, all students will be notified and will be provided, with the option to reschedule. If you cannot attend a class, your payment or voucher will be forfeited, the same as it would be if it was a concert ticket. However, (like concert tickets) you are welcome to transfer your spot to a friend to use the booking. You can request a full refund within 14 days of the purchase date. No refund can be given for cancellations after that period. However, you are always welcome to reassign the booking to a friend. Refunds are made through Direct Deposit only. Gift Vouchers are not refundable; however, you can transfer the voucher to a friend. Classes must be paid for in full before a booking can be confirmed. 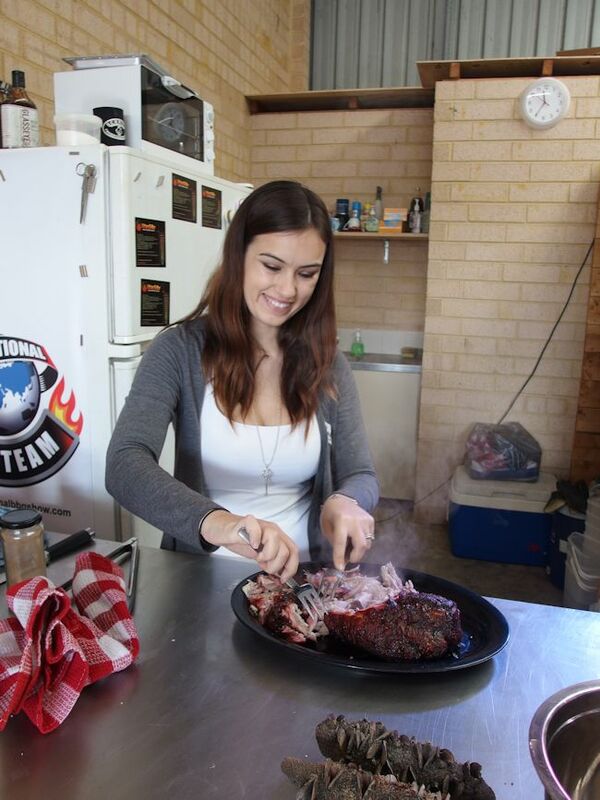 In our cooking classes, the food is not prepared individually but as a shared feast. Unfortunately, we cannot cater for vegetarians or food intolerances and allergies. We cannot cater for individual dietary requirements beyond what is scheduled in the class, if you have dietary restrictions or food allergies please let us know, the class may not be suitable for you. We endeavour to use the freshest ingredients and from time to time may need to substitute or change a dish if ingredients are unavailable. We apologise if this causes any disappointment. On rare occasions we may need to cancel a class because of unforeseen circumstances such as accidents, illness or too few bookings. If this occurs there will be the opportunity to transfer to another class. I absolutely love BBQ School. So much so I did it twice. I had no idea how to cook like a man. Now I have hair on my chest and can rustle up a solid steak sandwich with one hand. Very pleased with the entire day’s adventure. Which I did twice. Because my memory is failing me. What was that?